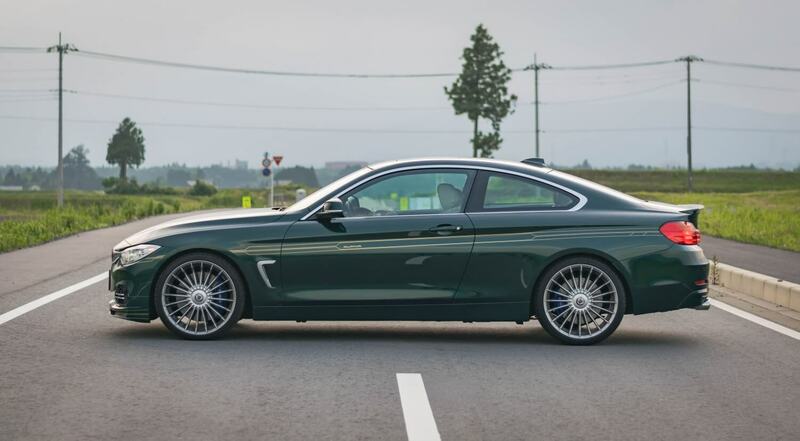 2017 Alpina B4 Biturbo Coupe – Car Review – The Best Performance All-Rounder? If you’ve read my review of the Alpina D3 sedan, you’ll know I’ve developed an obsession with BMW Alpina cars. I was impressed by the D3’s incredible ride comfort and the effortless performance its turbo diesel engine has. 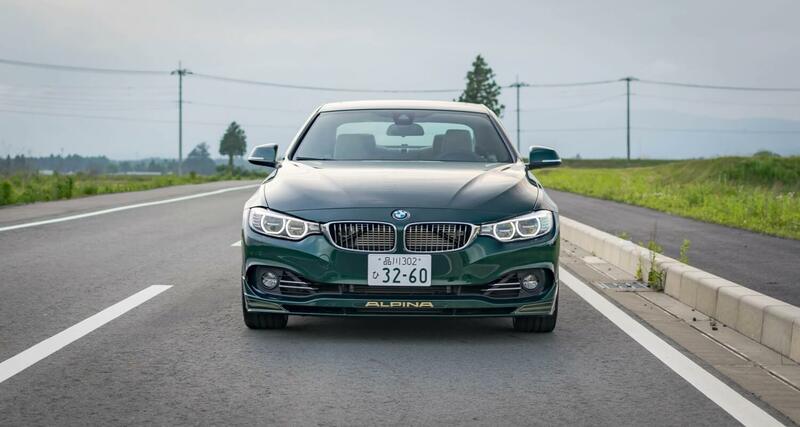 BMW Alpinas are already on sale over the pond in Australia and after driving the B4 Coupe, Alpina’s attempt at fine-tuning the BMW 4-Series Coupe, they definitely need to have a presence in the New Zealand market immediately. There isn’t much of a range per se. 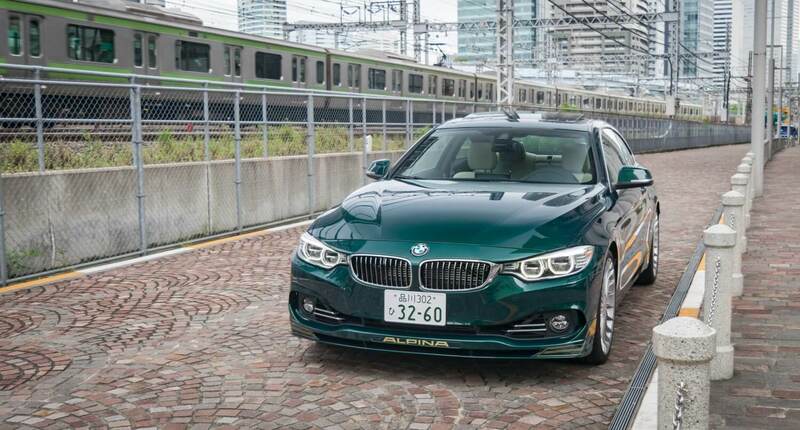 The Alpina B4 only comes with one engine choice, a beefed up version of BMW’s N44 3.0-litre turbocharged inline-six but with an extra turbo slapped in for good measure. 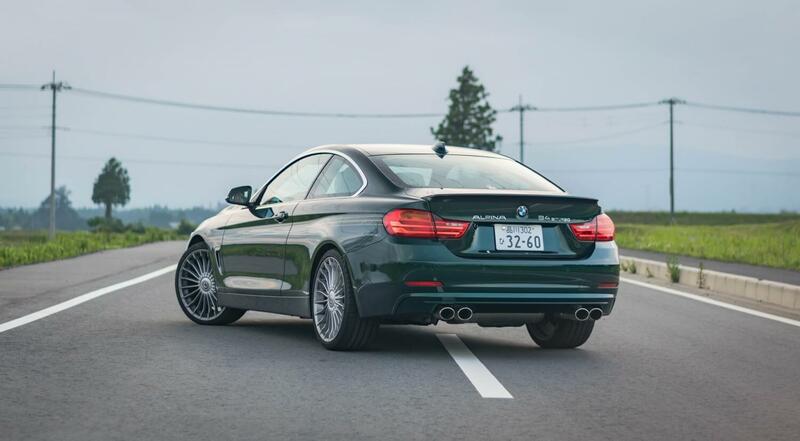 Like the 4-Series on which it’s based on, there are two body styles to choose from; coupe or convertible. The B4 also has a diesel counterpart, the D4 which uses the same 3.0-litre turbocharged diesel engine as the D3. But unless you plan on doing cross continental trips every day, the one you want is the turbo petrol. Pricing for the B4 starts where an well-optioned 4-Series Coupe starts. As an example, in Australia a B4 starts from AU$160,900, where as a base 440i starts from AU$99,900. 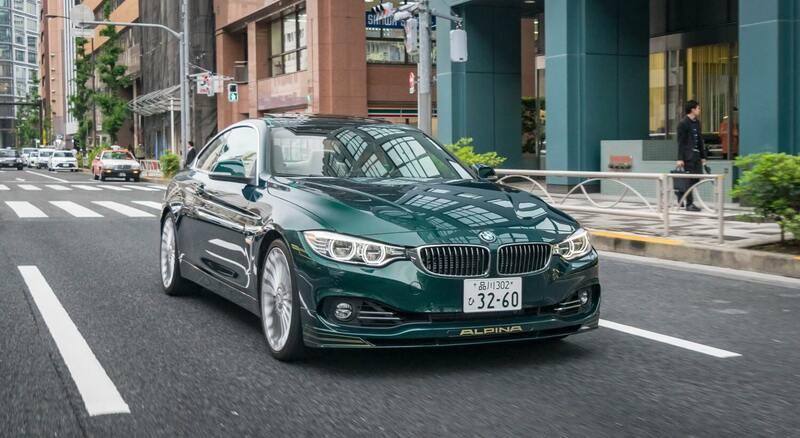 To the untrained eye it looks like a BMW 4-Series, but with a beautiful dark-green metallic paint job (a hefty ¥399,000/$4,878 option by the way). 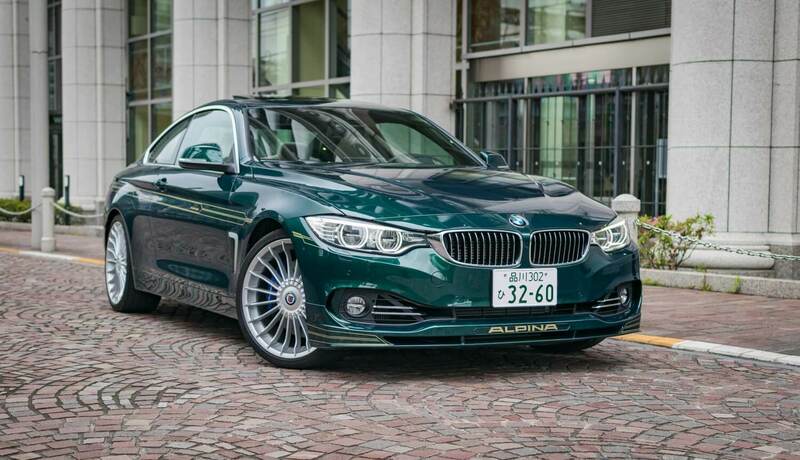 However, look closely and you’ll notice the subtle Alpina cosmetic changes such as the front lip spoiler, 20-inch multi-spoke alloys, discreet boot lip spoiler, and quad-exhausts. The Alpina stripes along the side (again another optional extra) are the only real visual giveaways that this is something more than your average 4-Series. If you don’t tick the box next to the stripe decals it’s possibly the most elegant sleeper out there. I like that. I love the understated look of the B4. Sure, it doesn’t have the flared wheel arches or the aggressive muscular look of the M4, but that’s exactly the point. This isn’t a car that shows off or gets in your face. It’s for a different kind of buyer, one who’s not too fussed what everyone outside thinks. That said this car isn’t immune from attention. Perhaps it’s people in the know, or perhaps it’s the green paint (worth the extra cash if you ask me), but the B4 was still able to turn a few heads. Don’t buy this car to pick up girls though, most people who turned their heads were middle aged men. Unless of course that’s the sort of thing you’re into. My only real gripe with the B4, like the D3, was the interior. 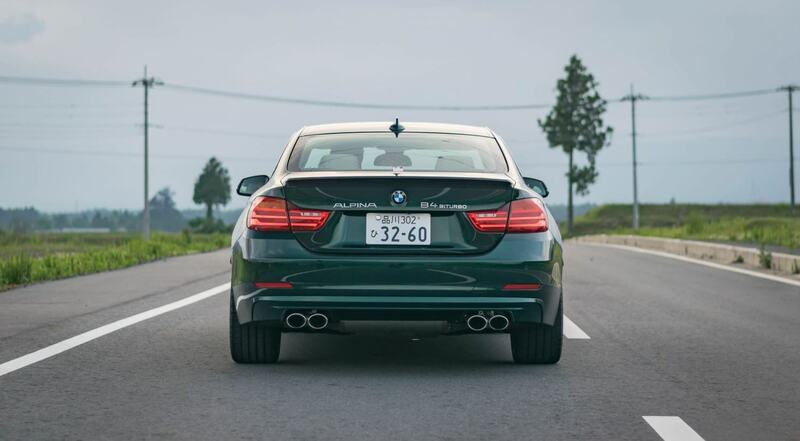 In terms of price, the B4 starts where a fully loaded 440i ends. The interior is just too similar to a standard 4-Series for my liking. For this sort of cash you’d expect something a bit more special. 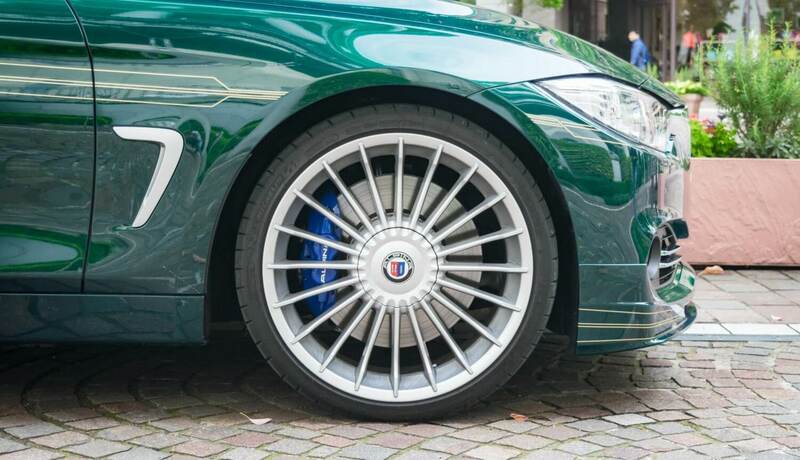 However, like the exterior, there are still a few subtle reminders this is an Alpina. 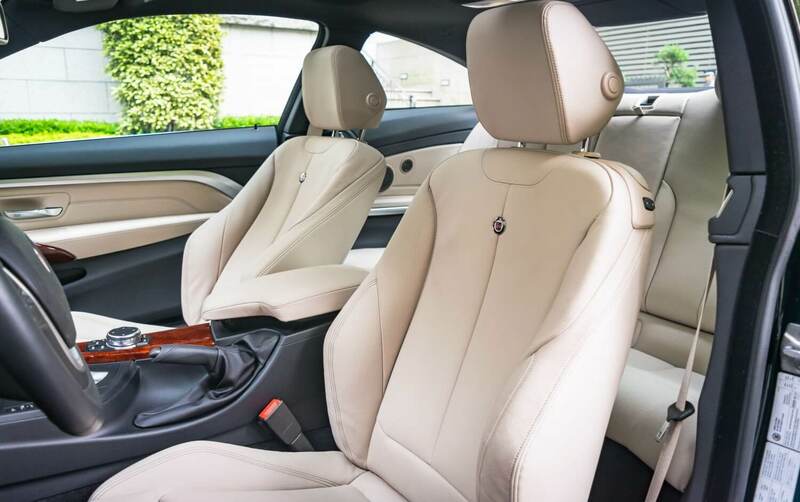 For example, the barrage of Alpina badges on the seats, steering wheel, door sills and wood trim. 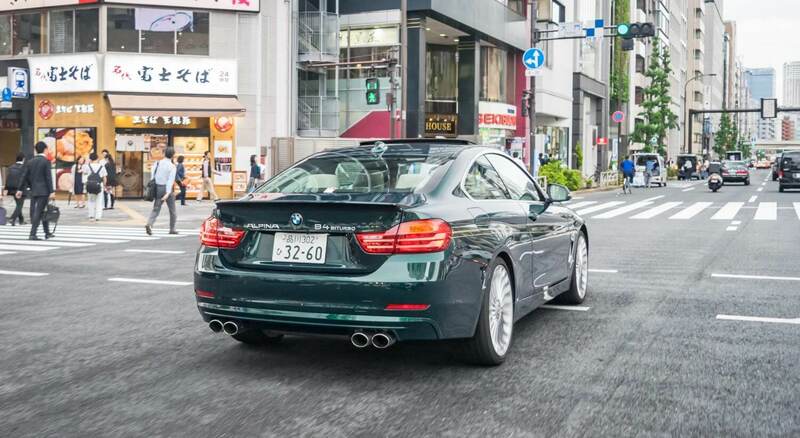 Apart from that there’s very little to differentiate it from a 4-Series. As base cars go you could do much worse, the interior is very BMW and everything is where you’d expect it to be and everything works. Build quality and the materials inside are typical BMW too. Everything feels like it’ll last the test of time and all the places you’d come in contact with the most felt appropriately expensive. However, the light coloured leather seats on this particular car did show dirt a little too well. It’s easy to find a comfortable driving position and visibility is great as there’s lot of glass around you. 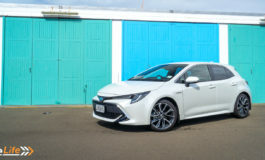 There are few blind spots inside the car, which is unusual in this day and age of sloping rear, thick pillars, and letterbox sized rear windows. The B4 does come with an array of driver aids such as blind spot assist and lane departure warning to help out just in case. There’s quite a lot of space inside too. The B4 will easily accommodate four adults without much complaints about headroom or legroom. Those that find themselves sat in the back should be fine on short to medium trips. Taller folks might find headroom a bit lacking due to the sloping rear. But it is a coupe so practicality wasn’t its main goal. 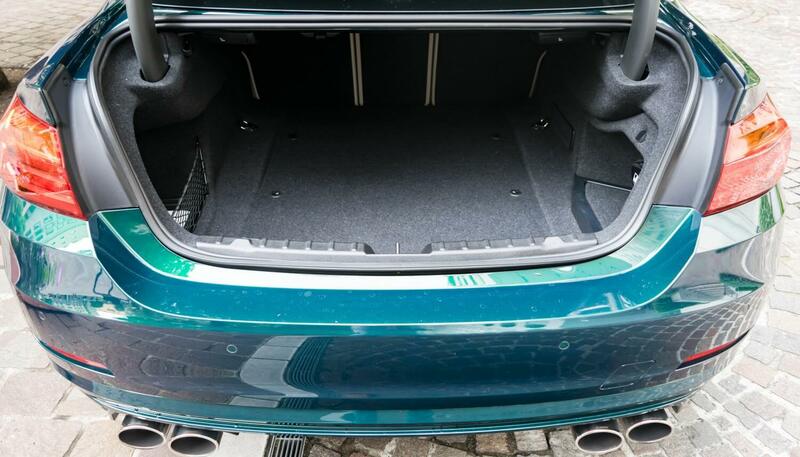 That said, the boot is a very usable size and the rear seats can be folded with a 60/40 split if extra space is required. 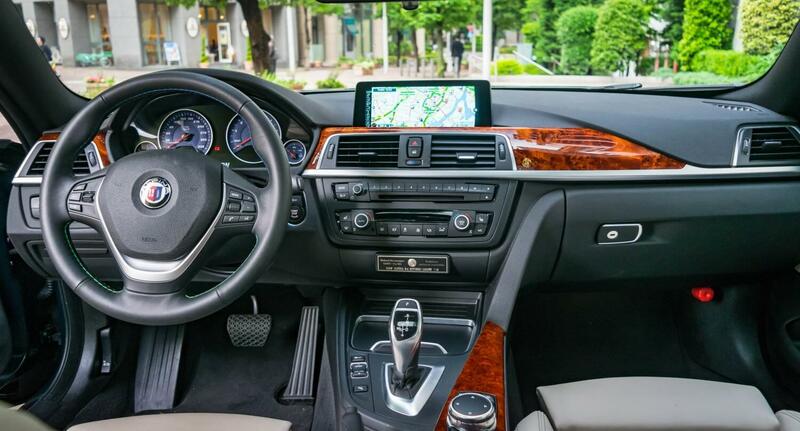 Like all other modern BMWs, the iDrive system is great to use. I’ve said it before and I’ll say it again, as OEM infotainment systems go BMW’s iDrive is second to none. Likewise, all the dials and buttons around the dash are easy to read and easy to find. The B4 can be optioned with a heads up display but unfortunately the car I had didn’t have this option. The B4 is a tricky one to approach. On the one hand it’s a high performance sporty coupe with a 3.0-litre bi-turbo six cylinder petrol engine developing 410hp (301kW) and a mahoosive 600NM of torque. That’s enough to get it from 0-100 km/h in just 4.2 seconds. 0-200 km/h can be done in 14.1 seconds and it’ll max out at 303 km/h. Power delivery is as linear as it is intoxicating. 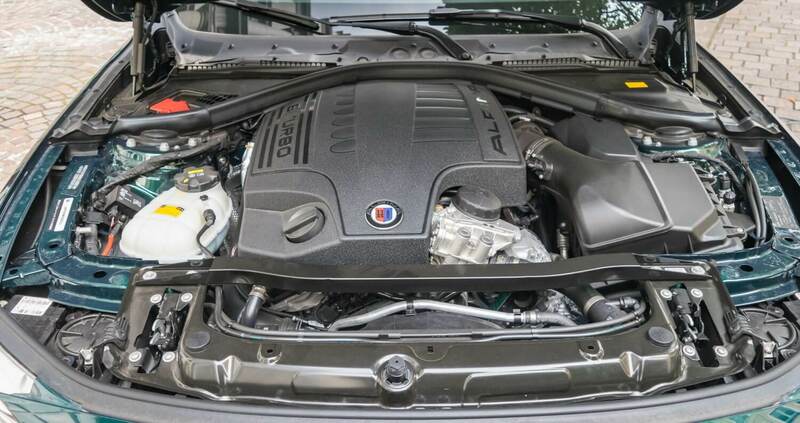 BMW are already known for their great six-cylinder turbos but Alpina’s fine tuning has made it even better. The bi-turbo engine has little to no lag, meaning it behaves quite like a naturally aspirated engine. Apply the throttle and it just goes in the most German way. It’s not neck-snapping dramatic, it just gets on with the job without any fuss. That’s what makes the B4 different to the M4. Most will compare the two as they’re quite similar in price and performance but it’s wrong to think of the B4 as a rival to the M4. It’s more of a M4 alternative. It isn’t as aggressive in its approach to speed and performance. It’s not about doing the fastest lap times. This car is about effortless performance. It’s slightly down on power compared to the M4 but is trumps it with torque. All 600NM is available from 3000-4000rpm meaning there’s a lot of low-mid range grunt. It’s perfect for motorway cruising and overtaking, which is where the B4 really feels at home. That’s when I realised this is more of a Grand Tourer than a sports car. It’s a car designed for cross country trips and autobahn cruising. The perfectly damped suspension made for one of the best ride comfort of any performance orientated car I’ve experienced. Going over harsh surfaces in this car didn’t require a trip to a chiropractor afterwards, unlike other high powered cars of this type. There are four driving modes available; Eco Pro, Comfort, Sport, and Sport Plus. They do change the characteristic of a car ever so slightly to suit your mood. 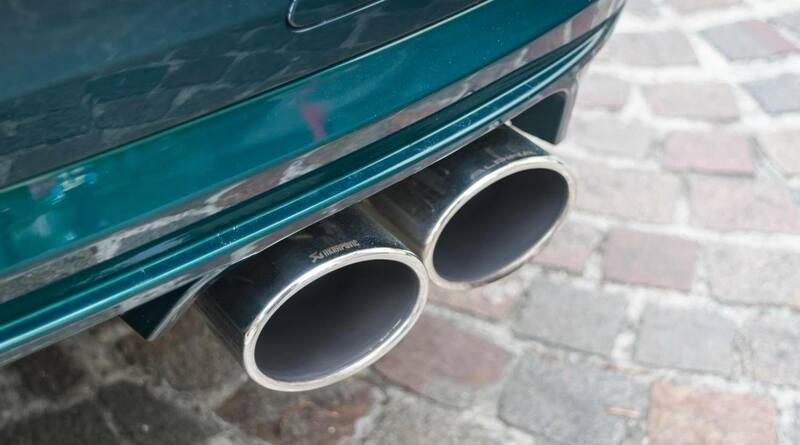 Eco Pro, as the same suggests, turns the car into a hypermiling beast making the throttle response less responsive and optimising the car to get the best mileage. Comfort is the standard and default setting where it is quite comfortable. This one is best suited for driving around town with the perfect level of damping on the suspension and weight on the steering wheel. Sport turns it up to 10 making the engine, chassis, and steering sharper and sweeter. It also opens up the valves of the quad Akrapovic exhaust. Sport Plus just turns off the ESC. 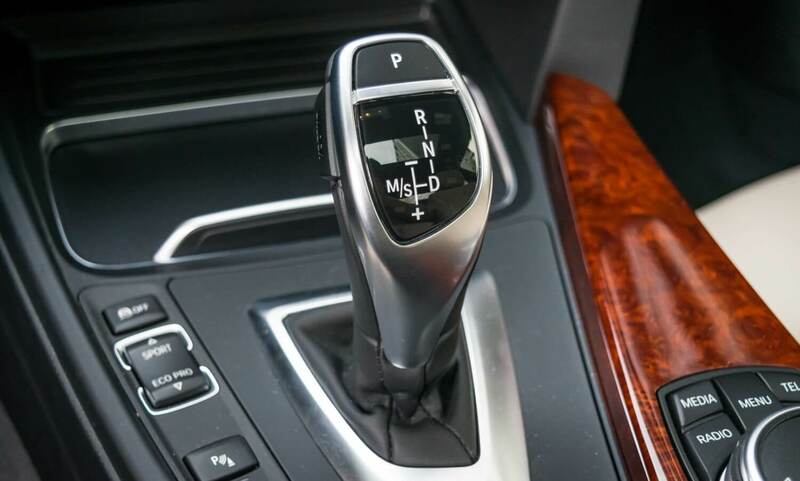 Unlike the M4 which uses a M-Power 7-speed dual clutch gearbox, the Alpina carried over the brilliant 8-speed ZF automatic gearbox from the 4-Series but with a few tweaks here and there to their specification. I know most people will wonder why put a standard auto in what’s supposedly a performance car but trust me, the ZF auto in this is right up there with DCTs in terms of gear shifts. Hit one of the steering wheel mounted shift buttons and the gear changes are instant. An advantage to the auto is at low speeds around town the changes from first to second aren’t jerky, unlike a DCT. It also suits the grand touring character of the B4 more. Having eight gears also does wonders for long distance fuel economy, I was averaging around 9L/100km, which isn’t too bad for a car like this. The B4 insulates exterior noise rather nicely too, perhaps too nicely. Unless you have the windows down or the sunroof open it’s quite hard to hear the car’s great sounding Akrapovic exhaust. A shame as it makes a wonderful howl as you go through the revs and pops and bangs on the overrun. The pops and bangs, if you’re immature, can be very addictive. I found myself changing down gears for no reason other than to make the exhausts make silly noises. Wind noise is kept to a low, though you do get a bit of tyre roar from the 20 inch Michelin Pilot Super Sports, 245/30 at the front and 265/30 in case you were wondering. Tyre noise aside, that rubber provides tremendous amounts of grip giving you the confidence to drive the B4 a little bit more spiritedly should you get off the motorway. The balance of the B4 was spot on. Sure, it’s not quite as precision sharp as it could be with an emphasis on grand touring, but it’s no water bed either. The suspension was the perfect setup for everyday driving and cornering. It’d take corners quite flat with little roll to be felt inside. Steering was sharp and precise with decent amounts of feedback and feel. Despite its size it was easy to place the B4 exactly where you wanted to on the road. As fun as this car was in a straight line, they way it grips around corners was just as impressive. You’d imagine a rear-wheel drive car with 410hp and 600NM of torque would be tail-happy but it’s so controllable and predictable. It’s brilliant. If something does go wrong, the B4 comes with 18-inch brake discs all round with 4 piston calipers up front. Basically, what that means is this car has enough stopping power to rein all that power. Like other Alpinas, the B4 will appeal to a particular type of buyer. I doubt it’ll convince many to move away from the M4 but for those looking for a discreet, high performance all-rounder the B4 is about as good as it gets. The rarity and exclusivity does mean it’s quite a pricey car to buy but for some that’s part of the B4’s appeal. 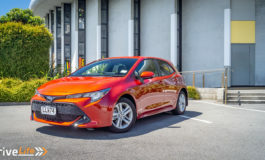 The way it combines its Jekyll and Hyde performance with everyday usability and understated good looks is something not many other cars on the market can do, especially at this price point. It could do with a more special looking and feeling interior but I guess you can’t win them all. Most customers tend to have a supercar or two they use on the weekend and daily drive their Alpinas and that basically sums up this car perfectly. 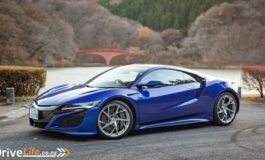 It’s a supercar for those wanting supercar performance on an everyday basis without all the inconveniences that comes with driving a supercar in everyday situations.